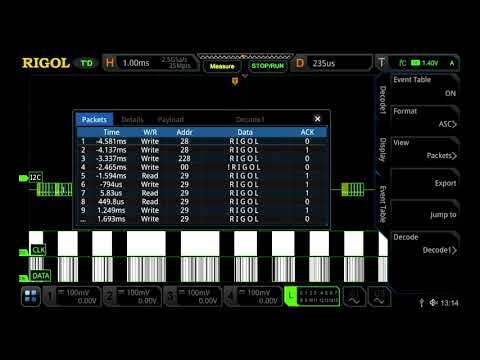 The new Rigol MSO5102 2 Channel 100MHz 8GS/s Oscilloscope. 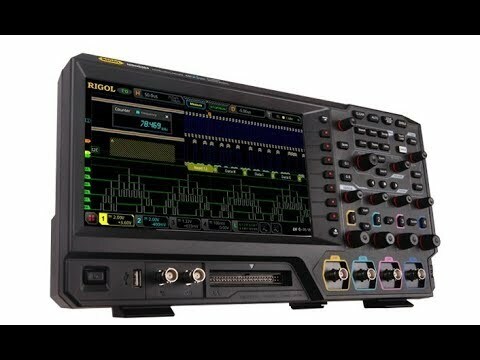 The MSO5000 series digital oscilloscope is a high-performance oscilloscope model designed based on RIGOL UltraVision II technology. With a 9-inch capacitive multi-touch screen, the MSO5000 series integrates 7 independent instruments into one, delivering super sample bandwidth ratio, extremely high memory depth, and other excellent specifications. It is compact and portable in design, and all of the MSO series products support multiple channels, bandwidths, and the upgrade of the analysis software. As it integrates many functions of multiple instruments, different user groups can have more choices in selecting their desired product based on their needs, helping them save their budget to a large extent while enjoying the superior test support and user experience. The MSO5000 Series comes in a single hardware configuration allowing users to upgrade instrument capabilities as their needs change. All Options are customer self-installable with no need to return the instrument to a service centre or get a re-calibration. 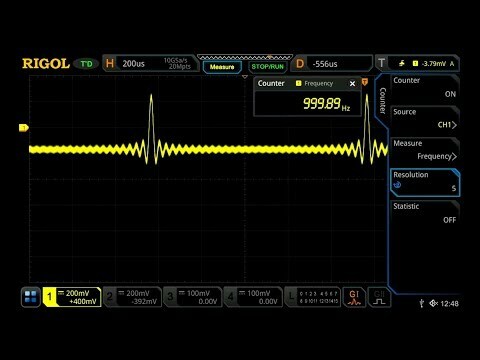 Edge, Pulse Width, Slope, Video, Pattern, Duration, Timeout, Runt, Window, Delay, Setup/Hold, Nth Edge. RS232/UART, I2C, SPI, CAN, FlexRay, LIN, I2S, MIL-STD-1553. 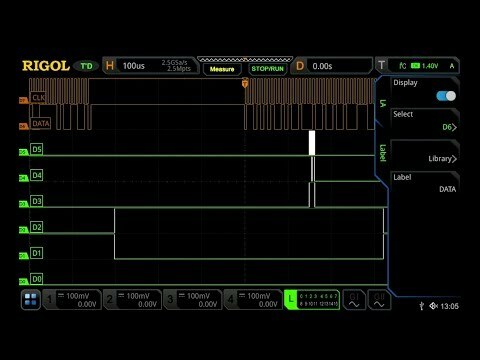 A+B, A-B, AxB, A/B, FFT,A&&B, A||B, A^B, !A, Intg, Diff, Sqrt, Lg, Ln, Exp,Abs, AX+B, LowPass, HighPass, BandPass,BandStop. Vmax, Vmin, Vpp, Vtop, Vbase, Vamp, Vupper, Vmid, Vlower, Vavg, VRMS, Per. VRMS, Overshoot, Preshoot, Area, Period Area and Std Dev. 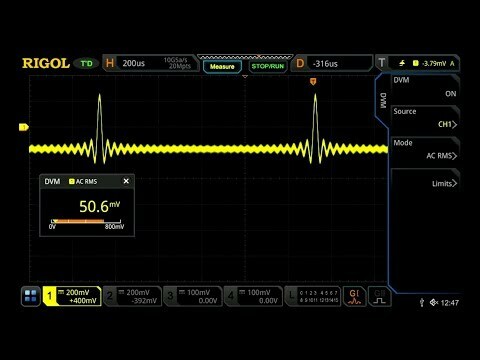 Period, Frequency, Rise Time, Fall Time, +Width, -Width, ±Duty, -Duty, Positive Pulse Count, Negative Pulse Count, Rising Edge Count, Falling Edge Count, Tvmax, Tvmin, ±Slew Rate and -Slew Rate. Standard: USB, LAN, HDMI. Optional: USB-GPIB. 9'', 1024x600, LCD HDMI, 256 Intensity. 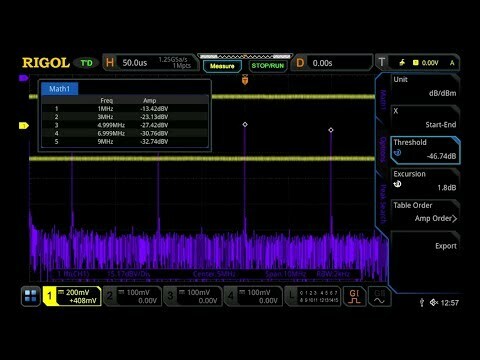 2 Channels 200MSa/s Sample Rate 14bits Vertical Resolution 25MHz Maximum Output Frequency 2-16kpts Waveform Length Standard Waveforms - Sine, Square, Ramp, Pulse, Noise. 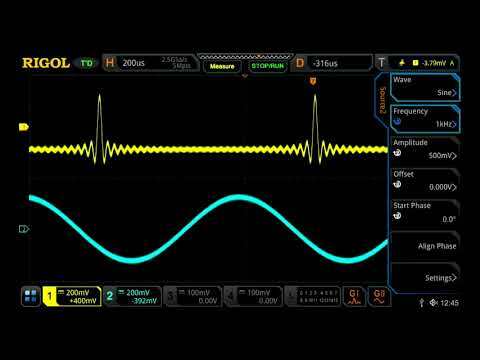 DC Arbitrary Waveforms - Sinc, ExpRise, ExpFall, ECG, Gauss, Lorentz, Haversine. Novel and delicate industrial design, easy to operate.